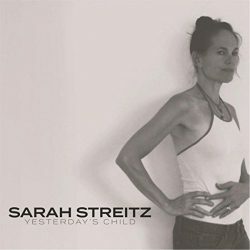 ‘Yesterday’s Child’ is the sophomore release from Minneapolis singer-songwriter Sarah Streitz. Produced by Greg Schutte, whose previous credits include Ryan Bingham, Streitz looks to build on the reputation garnered from her solid 2015 debut ‘Take One’. What is immediately striking is Streitz’s defiant, piercing vocal. The type of commanding vocal which grabs the listeners attention instantaneously. On the opening ‘Baggage Claim,’ this is complemented by some excellent pedal steel and harmonious backing vocals, getting the record off to a strong start. Unfortunately, the rest of the record doesn’t really ever reach those heights. Streitz meanders aimlessly through country-by-numbers on the repetitive ‘Line Up,’ interspersed with brief forays into basic blues numbers like the turgid ‘Blue Collar Boy’. The fundamental problem appears to lie in Streitz fancying herself as a storyteller but lacking any real stories to tell. There is, though, evidence that when provided with good source material, she is a talented songwriter. On ‘Gone,’ Streitz sings of the effect suicide has from a child’s perspective. The luscious production suits its stripped-back demeanour, akin to The Felice Brothers at their most morose. Streitz sings “Why’d you pull the trigger hard? Why’d you play that card?” on a beautifully tender Americana ballad. On ‘Yesterday’s Child,’ Sarah Streitz lets herself down by playing it too safe. With a little more adventure outwith the boundaries which have contained many others before her, Streitz could have ended up with a very interesting record, rather than plodding around in mediocrity. Sophomore release lack sufficient substance and adventure to showcase her real talent.